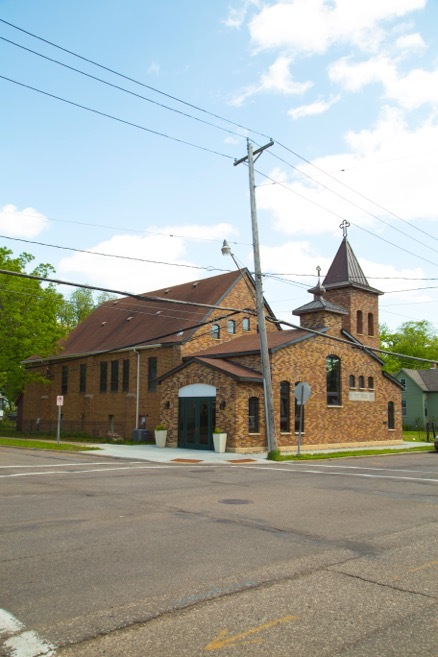 Our church is situated a short drive from downtown St. Paul in the Payne/Phalen neighborhood of the East Side. 35E from the South: Travelling north you will get to the Maryland Ave. exit about 2 miles north of downtown St. Paul. Travelling south you will reach the Maryland Ave. exit about 2 miles S of the junction with Highway 36. Exit at Maryland Ave. and go EAST for 1.3 miles to the lights at Forest St. Turn RIGHT on Forest and go a half a mile to the church; a small brick bulding on your left-hand side at 956 Forest.